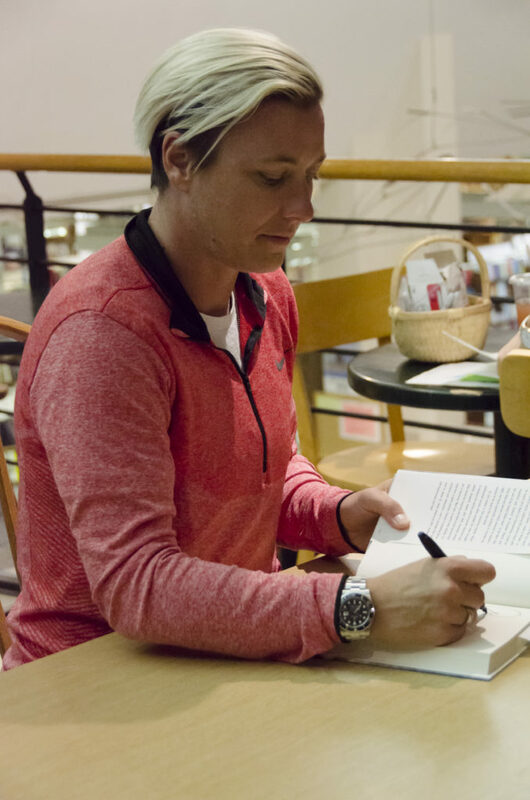 Abby Wambach signs copies of her books at the Book Revue on Monday night. Photo by Rebecca Anzel. 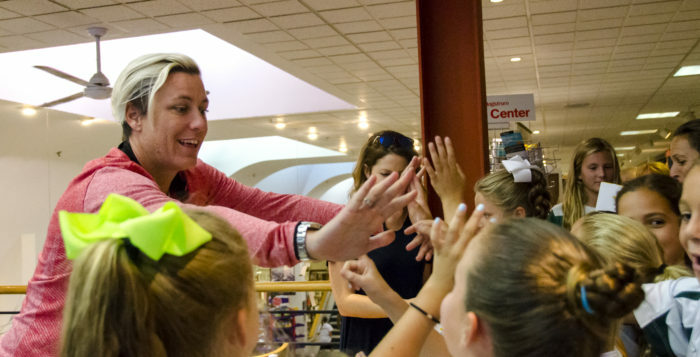 Many in attendance were young female soccer players who came wearing their team jerseys and asked Wambach for a high five. 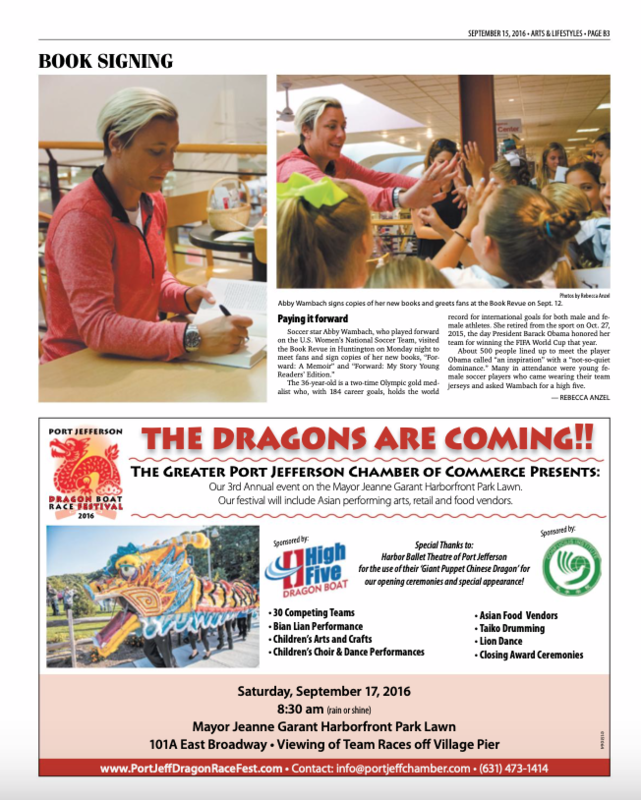 Abby Wambach greets fans at the Book Revue on Sept. 12. 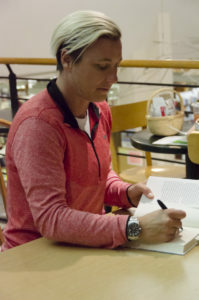 Photo by Rebecca Anzel.